Superdry men’s Canadian Mountain Range down parka jacket. Don’t let the cold stop you this season, with an 80/20 premium down filling and low fill power rating. It features a detachable hood and faux fur trim, both zip and popper fastening (for extra warmth) and underarm ventilation detailing. The parka jacket has four large front pockets and four breast pockets. Inside, there is one internal pocket, ideal for keeping your phone and wallet safe. 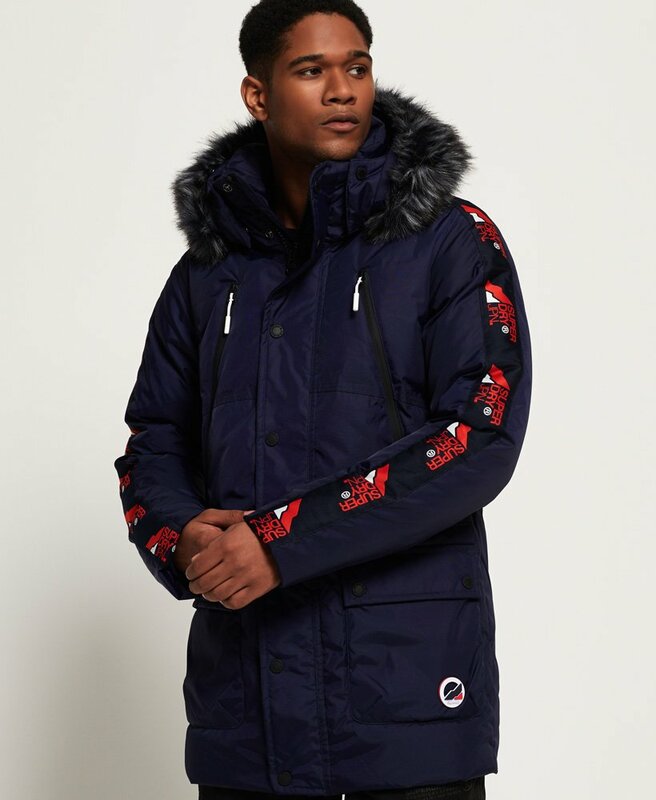 The Canadian Mountain Range down parka jacket is completed with Superdry logo panelling on both arms and a rubber logo badge on one of the front pockets.